Trustworthy information, straight from the source. Education is the first step in an empowering healthcare plan. Learn more about pituitary disorders from prevention to diagnosis and treatment. The pituitary gland is a pea-sized gland at the base of the brain. The pituitary is the ‘master control gland,’ it makes hormones that affect growth and the function of other glands in the body. The most frequent type of pituitary disorder is a pituitary tumor. These tumors are fairly common in adults. These are not brain tumors and are almost always benign (not cancerous). Cancerous pituitary tumors are extremely rare. It is common for individuals with pituitary disorders to be diagnosed and treated by an endocrinologist. Endocrinologists are specially trained physicians who diagnose diseases related to the glands. The glands in an individual’s body release hormones, and endocrinologists treat people who suffer from hormonal imbalances, typically from glands in the endocrine system. The overall goal of treatment is to restore the normal balance of hormones found in an individual’s body. Medication is commonly used to lower high hormone levels or to shrink the tumor. Surgery and/or radiation may also be used to shrink or remove the tumor. What are pituitary disorder care options? You’re likely to start by seeing your primary care provider. 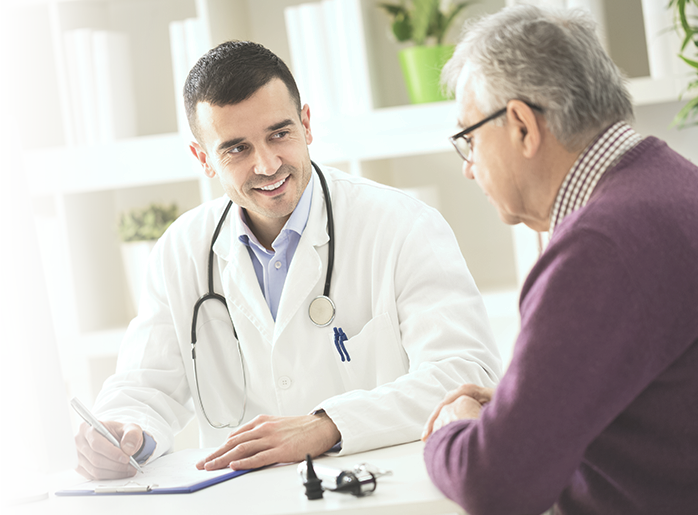 If your healthcare provider finds evidence of a pituitary tumor, he or she might recommend you see an endocrinologist. Endocrinologists are specially trained physicians who diagnose diseases related to the glands. Your symptoms: Include any symptoms that may seem unrelated to the reason for your appointment. Key personal information: Include major stresses or recent life changes and family medical history. Medications: Include vitamins or supplements you take, including doses. Questions: Bring a list of questions to ask your provider.